On Wednesday, August 27th the Brooklyn Cyclones and Staten Island Yankees will square off at MCU Park on 90s Night at the ballpark. 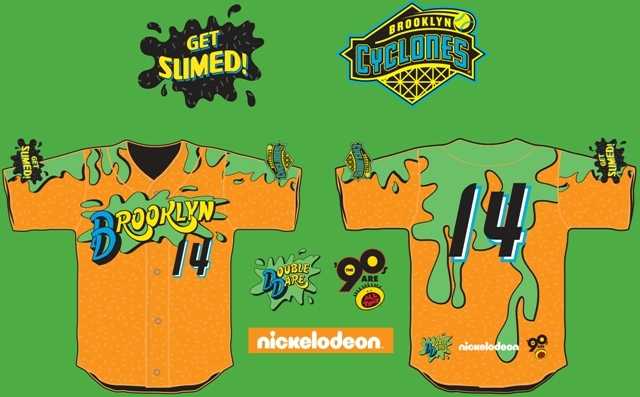 As part of the evening’s festivities, the Cyclones will be wearing special Nickeldeon “90s Are All That” jerseys that will be raffled off throughout the game with all proceeds to benefit the ALS Association. To kick things off, the Cyclones front office had their own twist on the “Ice Bucket Challenege” with the Slime Bucket Challenge thanks to our friends at Nickelodeon. During the game on August 27th, fans will have the chance to make a donation to ALS and then join the team on the field post-game to participate in the ice bucket challenge around the infield. It’s going to be a great night, to benefit a great cause. This article originally appeared on the official website of the Brooklyn Cyclones . Click here to view the original story. 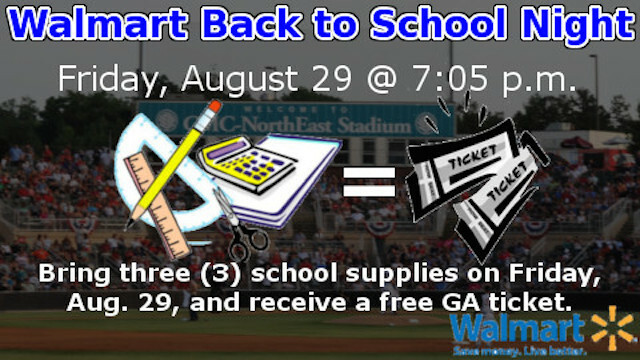 The Kannapolis Intimidators have teamed up with Walmart to host Back to School Night on Friday, Aug. 29, featuring a school tools donation. Fans that donate three (3) school supplies at the Box Office will receive a free general admission ticket to that night’s game against the Greensboro Grasshoppers. Gates open at 6 p.m. with first pitch at 7:05 p.m.
School supplies will be donated to Communities in Schools North Carolina. The Intimidators are proud to team up with Walmart for this promotion. Area Walmart stores are encouraging customers to “Build A Backpack” for elementary, middle and high school students as the new school year gets underway. Items collected through this drive will then be distributed to public school students in need. The Gwinnett Braves have announced the recipient of their $1,000 grant for the month of July. HOOAH, Inc. has been awarded July’s “Red, White and Blue” themed grant, aimed at assisting organizations that support military and military families. HOOAH, Inc. began with a group of friends trying to do something for servicemen and women around the world. On May 18, 2011, the chapter became an official non-profit organization in the state of Minnesota. The organization is not bound to one geographical area, as its outreach is worldwide. The goal of HOOAH, Inc. is to lend support to deployed special operations servicemen and women. 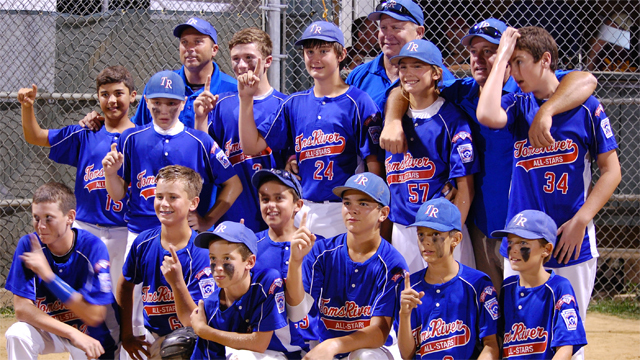 The Georgia chapter of HOOAH will use the grant to fund youth sports scholarships for children who have one or more parents that are currently deployed. The scholarships help those families cover the cost of program fees and uniforms for their youth athletes. About HOOAH, Inc.: The organization has been around for over three years and is based in Elk River, Minnesota. There are five supporting chapters, located in Minnesota, Georgia, Colorado, Kansas and Wisconsin. The vision of the organization is to give volunteers and the public an opportunity to help our servicemen and women with customized support and services. Kyle Lloyd had plenty to be proud of Wednesday, and his pitching performance was only a small part of that. The right-handed Padres prospect visited the pediatric wing of Fort Wayne’s Parkview Hospital before his start, and then raised $1,500 for Stand Up to Cancer on the mound. “My start is what it is, but if I’m able to brighten up a kid’s day or maybe make their week, that goes a lot further than six innings,” Lloyd said. The 23-year-old threw six innings of one-hit ball, striking out six and walking one in Class A Fort Wayne’s 10-0 thrashing of visiting Great Lakes on Wednesday. It was Stand Up to Cancer Night at Parkview Field, and Fifth Third Bank donated $250 to that organization for each punchout. 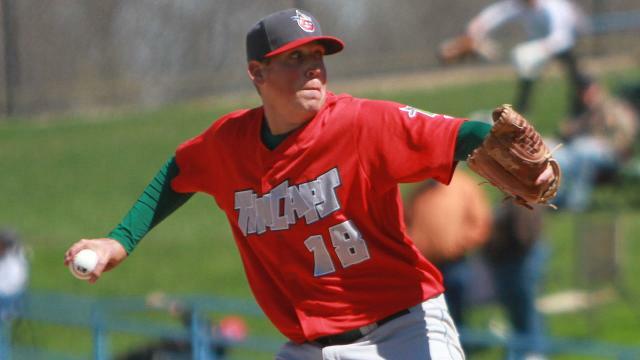 The University of Evansville product is 6-4 with a 3.58 ERA, and with roommate Justin Livengood co-leads the TinCaps in community appearances with about a dozen. He has struck out 14 and issued just one walk over his last 11 innings spanning two starts. The lone hit Lloyd allowed was Devan Ahart’s two-out bunt single in the first inning. He struck out Joey Curletta to end that frame. Lloyd was perfect until he faced Curletta again, this time walking him on a full count with two outs in the fourth. “As a whole, I threw more quality pitches in that at-bat than not,” he said. No other Loons hitter reached against Lloyd. He struck out two in the fifth and one more in the sixth. Lloyd exited the game not because of pitch count, but because the TinCaps put up five runs — including two on Fernandez Perez’s second homer of the game — in a prolonged bottom of the sixth. Yardley worked around Paul Hoenecke’s single in the seventh, and Tyler Wood tossed two perfect frames to close out the shutout. Perez finished 3-for-4 with three RBIs and three runs scored. 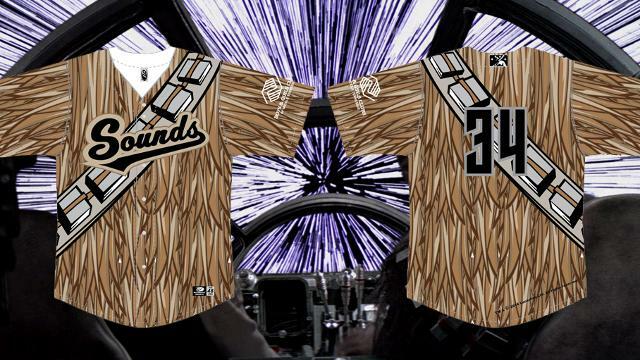 This article originally appeared on the official website of the Class A Midwest League. Click here to view the original story. Fifth Third Bank will host Stand Up To Cancer Night at Fifth Third Field on Sunday, August 24! Tickets for Sunday’s 6 p.m. game between the Mud Hens and Louisville Bats can be purchased at 419-725-4367 or online. The special games are part of the bank’s ongoing commitment to raise money in support of cancer research. To date, the bank has helped to raise more than $2.3 million in donations for Stand Up To Cancer (SU2C). Fifth Third Bank offers special credit and debit cards, which generate donations to SU2C for every qualifying purchase made using those cards. Through its “Pay to the Order of” campaign, the bank will give $150 to the customer and donate $150 to SU2C each time a new customer opens a checking account with direct deposit and makes three online bill payments. The campaign runs through October 17. At each ballpark, guests will enjoy special promotions and giveaways, have the opportunity to donate to the cause and even memorialize their wishes for someone they know affected by cancer by adding their name to an SU2C signing wall. 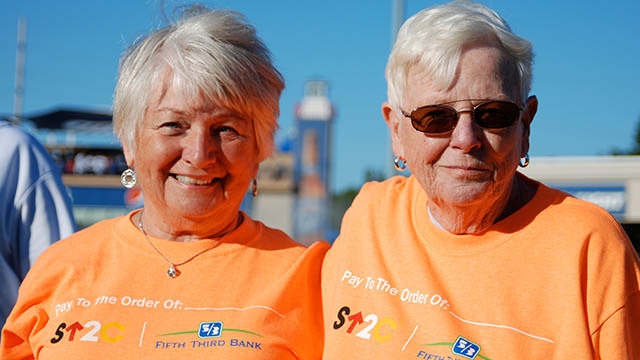 For every strikeout in the game, the bank will donate an additional $53 to SU2C. Special guests, including cancer survivors, will serve as game ambassadors, with one special guest throwing out the game’s first pitch. The TinCaps, Parkview Health, and Fifth Third Bank are teaming together to help keep men healthy. During Fort Wayne’s game on Wednesday, August 20, as well as during the day on Thursday, August 21, Parkview Field is set to host a free “Keeping Men Healthy” event. All men who receive a PSA Blood Screening will receive two free tickets to a future TinCaps game, compliments of Fifth Third Bank in support of healthy living and cancer awareness. The event will be held in Parkview Field’s Lincoln Financial Event Center during Wednesday’s 7:05 p.m. game against the Great Lakes Loons (L.A. Dodgers affiliate). For fans who can’t make Wednesday’s game, “Keeping Men Healthy” also will take place on Thursday from 11:00 a.m. until 6:00 p.m. There will be other screenings and prevention information as well. Fans will also have the opportunity to meet physicians from Parkview Physicians Group – Urology and Parkview Physicians Group – Colon & Rectal Surgery. Tickets to Wednesday’s game – Stand Up To Cancer Night presented by Fifth Third Bank – can be purchased here, by phone at 260-482-6400, or at the Parkview Field Ticket Office. The San Jose Giants have announced that they will host an Ice Bucket Challenge Auction on Thursday, August 21 to benefit the ALS Emergency Treatment Fund. Fans will be able to bid on the opportunity to pour a bucket of ice water on their favorite San Jose Giants player following the final out. If every player receives a bid during Thursday’s game, San Jose Giants’ mascot Gigante will take the Ice Bucket Challenge and nominate three very special friends. Proceeds from the auction will benefit the San Jose-based ALS Emergency Treatment Fund. In addition, the San Jose Giants have nominated season ticket holders, sponsors as well as the following media members to take part in the Ice Bucket Challenge at Municipal Stadium on Thursday: Gary, Julie, Indiana Al and Randy from 95.3 KRTY, Sam and Lissa from 94.5 KBAY, Pope and Marla from MIX 106.5, Christina Loren, Raj Matthai and Robert Handa from NBC Bay Area, Vernon Glenn and Roberta Gonzalez from CBS 5, Larry Beil from ABC 7, Andrew Baggarly and Fallon Smith from CSN Bay Area, Brian Murphy and Paul McCaffrey from KNBR and Alex Pavlovic and Bud Geracie from the San Jose Mercury News. Any member of the media is welcome to take part. If you are interested in joining this event at Municipal Stadium please email bentaylor@sjgiants.com. Sunday, August 17th is Fallen Heroes Day at Four Winds Field presented by Midland Engineering. Each year your Silver Hawks pay tribute to police, fire and EMS workers for their extraordinary community service. Tickets to Sunday’s game are buy one get one free for police, fire and EMS workers. Must present an ID or badge at the Four Winds Field Box Office to purchase tickets. In addition to recognizing all local responders, one Silver Hawks’ player will also be honored with the Corporal Paul Deguch Community Service Award for the 14th year. The award is named after Paul Deguch, a former South Bend police officer, killed in the line of duty in 1997. The Silver Hawks’ player who demonstrated outstanding community service throughout the course of the season will be presented with the award during pre-game activities on Sunday. The Augusta GreenJackets are excited to announce today that they will be partnering with the Golden Harvest Food Bank to host the Golden Harvest Food Bank Canned Food Drive as a part of our game on Friday, August 22, 2014 at Lake Olmstead Stadium. Golden Harvest’s goal is to provide and serve quality food to people in need. Through the help of local community support they are able to serve lunch every day in downtown Augusta at the Master’s Table Soup Kitchen. On August 22nd, two GreenJackets players will be at the Master’s Table volunteering their time by serving food and speaking with members of the community from 11 – Noon. “It’s so encouraging to have strong community partners like the GreenJackets who are willing to cultivate our sports culture but also partner with us in taking action in feed the hungry” said Travis McNeal, Executive Director at Golden Harvest Food Bank. Golden Harvest is doing a ticket fundraiser as part of the night to help members of the CSRA community. Fans that bring canned food items to the game will receive a raffle ticket for “Enter to Win” giveaways. Game time is slated for 7 PM as the GreenJackets face the Lexington Legends. Gates open at 6:00 PM. The first 1,000 fans will receive a Golf Umbrella courtesy of SRP Federal Credit Union. It’s also Golf Night with special themes and promotions. There will also be Launch-A-Ball and post-game kids run the bases. The Northwest Arkansas Naturals along with Sam’s Furniture and media partner KLRC are hosting the second Faith and Family Night event of the 2014 season on Friday, August 22nd at Arvest Ballpark. Chris August is scheduled to perform a one hour pre-game concert at 6:00 P.M., prior to the Naturals game against the Springfield Cardinals at 7:35 P.M.
Chris August was the GMA Dove Award winner for New Artist of the Year and Male Vocalist of the Year in 2011. He also won the award for Pop/Contemporary Album of the Year for “No Far Away” that same year. Chris August’s most recent album, “The Upside of Down”, spent twenty-one weeks on the Christian Albums chart reaching a peak position of number 3 on the list. The album is highlighted by “Center Of It” and “Unashamed Of You” as both songs reached the Top 23 on the Hot Christian Songs. The stage for the pre-game concert next week will be located on the grass area beyond the concourse in centerfield, located between the Bud Light Bullpen Café and kid’s playground beyond the centerfield batter’s eye. Gates will open at 5:30 P.M. for the concert to begin at approximately 5:50 P.M. and a Post-Game Fireworks Spectacular will conclude the night. The first Faith & Family Night at Arvest Ballpark on Friday, May 9th was a sellout. The Naturals had a crowd of 8,035, which was the 8th largest crowd in franchise history. Tickets are currently available for August 22nd and range from $8 to $14 for the event. Tickets can be purchased at the Arvest Ballpark Box Office, online at www.nwanaturals.com, or by calling our toll free ticket hotline at (877) 444-2637. The Naturals will also offer special group rates starting at just $8 for reserved seats for groups of 20 or more that would like to attend Faith & Family Night by Sam’s Furniture. Please give us a call at (479) 927-4900 or email us at Groups@nwanaturals.com for more information. All you need is one ticket to enjoy the concert, game, and fireworks. 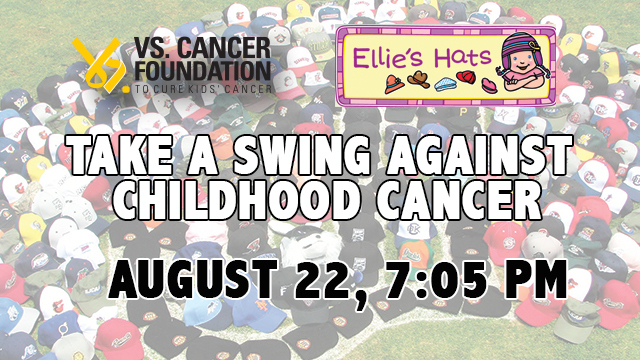 The Jackson Generals have teamed up with Ellie’s Hats and the Vs Cancer Foundation to take a swing against childhood cancer. On August 22nd at 7:05, the Generals will be taking on the Chattanooga Lookouts in the hunt for a playoff spot. But, the battle on the field will be in support of those children who are entrenched in a battle of their own – one against cancer. The Generals have spent months collecting hundreds hats from teams and individuals across the country. These hats will be donated on the field that night to the charity, “Ellie’s Hats,” who will give them to children receiving cancer treatments. These kids often lose hair from harsh treatments and the hats often become an extension of themselves, almost like a badge of courage. But, the donation isn’t all that’s going on. Some of the Generals players have volunteered to have their heads shaved that night to help raise money with the Vs. Cancer Foundation. Any individual attending the game will also have the opportunity to shave their heads in support. The Vs. Cancer Foundation has set up a website here to help the Generals raise even more for the cause. These donations will be split between Ellie’s Hats and a local Jackson cancer treatment center, meaning every penny is used to fight childhood cancer. Fans are encouraged to bring a new hat to the game to donate to the cause, and if they do they’ll receive free admission. The Generals have been recognized for their efforts by Minor League Baseball. 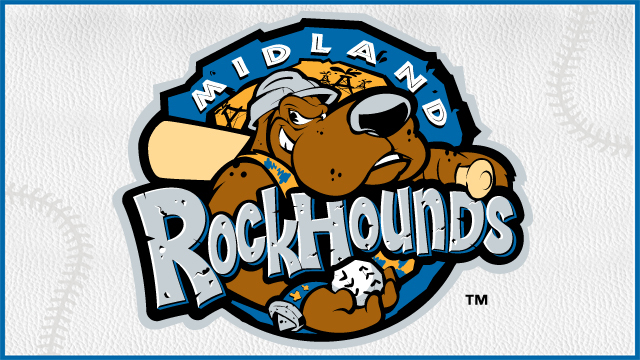 They have been named one of five finalists for the top charity event/program in all of Minor League Baseball. MiLB gives a number of “Golden Bobblehead Awards” out every season to recognize the best of the best from around the country. This is the first time the Generals have been a finalist in any category. The Hickory Crawdads recently lent a helping hand at the Hickory Soup Kitchen, with the ‘Dads players helping to clean, prepare, and serve food on August 7th & 8th. Six players and one front office member volunteered over four separate shifts during the two-day span. The Crawdads helped out with everything from peeling potatoes and bagging groceries, to serving food and interacting with the guests. The Hickory Soup Kitchen began in 1983 with six downtown churches before moving to its current location in 1990. HSK serves an average of 152 people per day and more than 70,000 people every year. The kitchen is open weekdays from 7:00 am to 1:00 pm. For more information regarding the Hickory Soup Kitchen, contact Executive Director Austin Pearce at (828) 327-4828 or email hickorysoup@embarqmail.com. “The Silver Hawks are once again excited to be partnering with St. Vincent de Paul this year on our Faith and Family Night. We have built a great partnership over the last couple of seasons but what excites me the most is the canned food drive and the opportunity we have to help those around Michiana that are in need. We have set a goal to collect at least 3,000 lbs. of food on Friday night and it is my hope that we shatter that mark. We live in one of the greatest communities with some of the most generous baseball fans that I have ever met. So I am asking everyone to please bring at least one item on Friday night to donate and let’s help fill St. Vincent de Paul’s food pantry.” states Joe Hart, Silver Hawks’ Team President. To purchase tickets to the Friday, August 15th Silver Hawks’ game contact the Box Office at 574-235-9988, stop by in person, or purchase tickets online at www.SilverHawks.com . The Four Winds Field Box Office is open Monday through Friday 10:00 a.m. to 5 p.m. 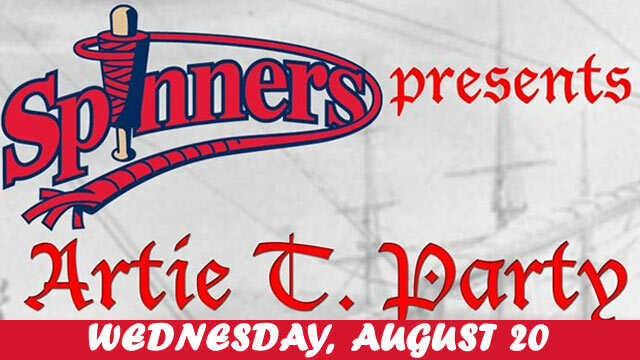 The Lowell Spinners, Class-A Affiliate of the World Series Champion Boston Red Sox, announced their home game on Wednesday, August 20 against the Connecticut Tigers will be dubbed the “Artie T. Party,” to support the Market Basket family within our community. The evening will include a number of activities and events geared towards Market Basket employees and past Market Basket associates who have found themselves without a job during the current events within the company. As part of the event, Market Basket employees will be able to receive tickets for just $4, a homage to the four percent everyday discount Market Basket offers customers, by showing their employee ID badge. 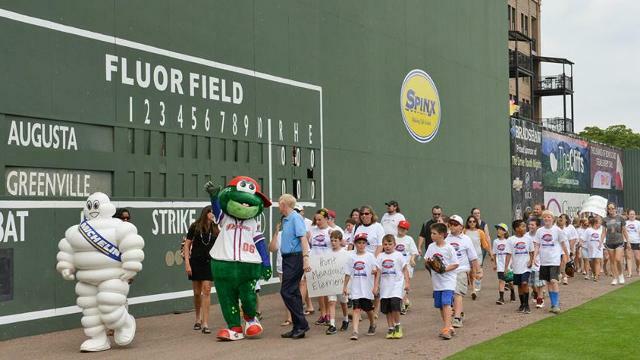 All associates will be invited onto the field for a pre-game parade around the LeLacheur Park field and special guests will be a part of the Lowell Spinners pre-game show. Gates for the 7:05pm game will open at 6pm and associates and staff can show their ID badge at the Ticket Office Window to receive the discounted ticket price. For questions, fans can contact the Spinners Box Office at (978) 459-1702. On Sunday, August 17, the plaza outside Fifth Third Field will host a multitude of fun, free activities as a part of the annual Anthem Health & Fitness Carnival. This annual event is a great opportunity for parents and their children to learn about healthy lifestyles, grab some cool giveaways and enjoy a day of family fun at Fifth Third Field. The Dragons take on the Bowling Green Hot Rods at 2:00 p.m. that afternoon, but as early as 12:30 p.m., fans can come to the plaza to enjoy FREE health screenings, chair massages, airbrush tattoos, balloon animals, raffle prizes including a fitbit flex, free bike helmets for the first 100 kids (ages 5-12), inflatable games, and much more, courtesy of Anthem Blue Cross and Blue Shield and Kettering Health Network. Dragons mascots Heater and Gem will be in attendance, as well. The carnival will run until 2:30 p.m.
Stop by and enjoy the fun before the Dragons game out on the plaza, and then enjoy the game inside the ballpark. A limited number of lawn tickets for the game are still available. 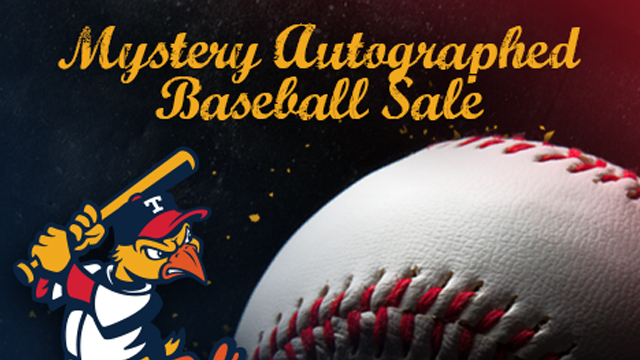 Score some cool baseball memorabilia and help out a great cause at the same time, as the Mud Hens are hosting the annual “Mystery Ball Sale” this Saturday, August 16. It’s a mystery because autographed baseballs are placed in a plain paper bag. Buy one for a $20 donation and see who you get! We’ll have balls signed by current and former Mud Hens players, as well as current and former Major League Baseball players and current minor league players from other teams. Proceeds will benefit the Miracle League of NW Ohio and Helping Hens Charities. The Mud Hens take on the Columbus Clippers on August 16 at 7 p.m. with gates opening at 5:30 p.m. Call 419-725-4367 for tickets or order online. Are you in need of rejuvenating, relaxing your mind and body and finding your inner peace? If so, then visit Joseph P. Riley, Jr. Park on Saturday, September 6. We’re not talking about a RiverDogs baseball game, but “Downward Facing RiverDog” yoga on the field. 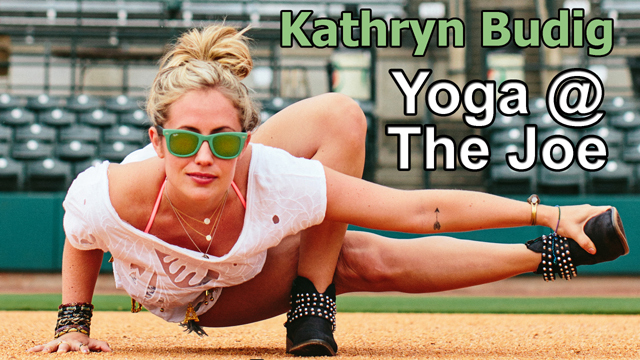 Led by internationally-acclaimed instructor Kathryn Budig, the Charleston RiverDogs will host “Downward Facing RiverDog,” a yoga class that will be held on Riley Park’s emerald green grass. From the downward facing dog post to the firefly pose, all levels of yoga are welcome. “The class will be playful and accessibly challenging,” says Kathryn Budig. Downward Facing RiverDog will benefit “Poses for Paws,” an organization co-founded by Budig that is dedicated to raising money for animal shelters through yoga. Budig shares her zest for life, yoga and food as the Women’s Health Magazine yoga expert along with her contributor writings for The Huffington Post, Yoga Journal, Gaiam, The Daily Love and MindBodyGreen. She’s been seen on the covers of Yoga Journal, Yoga International, Om Yoga and Common Ground. Budig has been featured on E! Entertainment, The Food Network, Forbes Women, The Wall Street Journal and The New York Times. She also serves as the brand representative for ToeSox and is currently sponsored by Under Armour + ZICO Coconut Water. She authored Rodale’s The Women’s Health Big Book of Yoga. The Drive team up with Michelin to host the final Summer Reading All-Stars Celebration of the season on Monday night. The Drive’s Reading All-Stars program is an exciting initiative to get Upstate students interested in reading at a young age, and the participants not only get the benefit of a celebration day with the Drive, but also the satisfaction of learning and sparking their imagination through reading! Monday’s game begins at 7:05, but the action starts at 6:30 as members of the Summer Reading All-Stars program from all across the Upstate will get to walk in a pregame parade. In addition, members of the program will get the chance to participate in the Drive’s in-game entertainment. Come celebrate these members of the Drive and Michelin’s Summer Reading All-Stars program and recognized them for their hard work all school year and all summer long! To purchase tickets for Monday’s game, head to the Main Street Box Office, call (864) 240-4528 or log onto GreenvilleDrive.com.